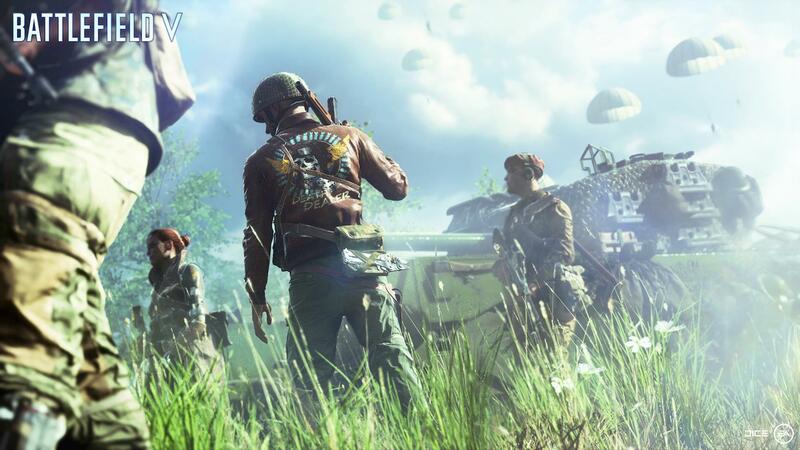 Electronic Arts has published new details about Battlefield V‘s battle royale mode, revealing that it’s being developed by Burnout and Need for Speed studio, Criterion Games. Called Firestorm, the mode will see 16 squads (64 players) exchanging fire over various objectives, which will be similar to the ones found in Conquest. Some objectives will involve going to fixed locations while others will appear at random, offering valuable gear and resources. With no weapons at your disposal when you land, your squad’s first objective will be to find loot and ensure that the team is well-equipped to confront enemies. You can also use combat vehicles to your advantage, which will grant your squad an edge in aspects such as speed. “If you find something with wheels, you can drive it into battle or plot a quick escape,” said DICE. EA also announced that those who preorder Battlefield V will receive a bonus Firestorm Rangers set, which includes goggles, battle fatigues, and the MKIII(S) elite combat dagger. Battlefield V will release on November 20 for the PlayStation 4, Xbox One, and PC.